The Department of Regional Art Workers was conceived as an intergenerational, interdisciplinary arts community providing access to the arts, in midtown, Kingston, NY. Our project space offers a print studio, work, event and, meeting space. The D.R.A.W. community currently includes, P.U.G.G. alumni artists, work study students, local artists and, community members interested in providing access to the Arts and quality community arts education. Although we are headquartered at the YMCA, our teaching artists will be teaching through out the community. This summer we will be working with the Kingston Library in their Teen Art Lab. The Art Lab offers students ages 13-18 the opportunity to dive deeply into art making. The program start July 9th. There will be three different experiences, Photography, Animation and Sculpture, all taught by local artists. The homeschool group, Leadership and Community Action, in Kingston NY worked with D.R.A.W. Teaching Artist and Program Director, JoAnna Ruisi, and Maria Farr, Girls Inc. of Ulster and Duchess counties program facilitator, looking at art as activism. The girls did screenprinting and wordplay as part of their session. Teen Open Studio began in November. The D.R.A.W. opens its studio and gallery for students, once a week, after school. Journals and materials are available. Students can work independently or with in a mentor artist on a specific project. High School students explored art and activism, in November, in a workshop taught by Jacinta Bunnell and Rafael Perez. Costumed Drawing series, facilitated by Rebecca Hellard. 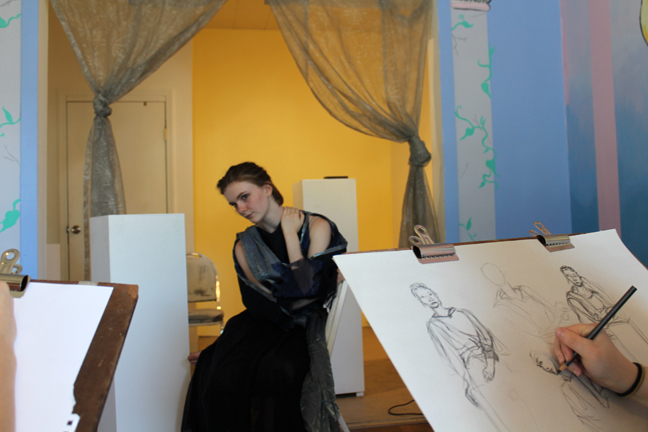 Models express themselves through their wardrobe while artists expand their understanding of figure drawing. 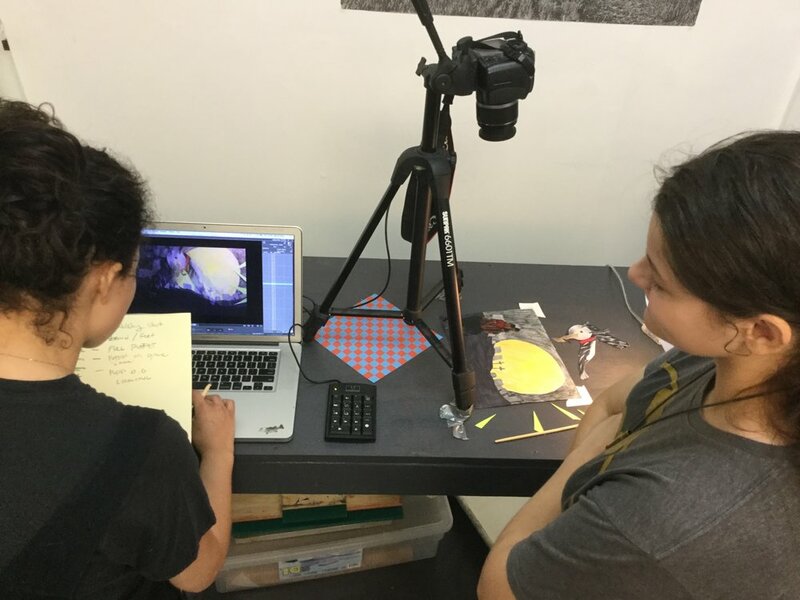 Adrielle Farr works with an animation student in August, 2017. Students each made their own stop motion shorts, using paper puppets and collaged backgrounds. Collograph prints done during the Ben Wigfal project at the D.R.A.W. JULY 2017. Comic Book, image and text, with Isabelle Simik, 3 saturdays in February, 2017. At P.U.G.G.